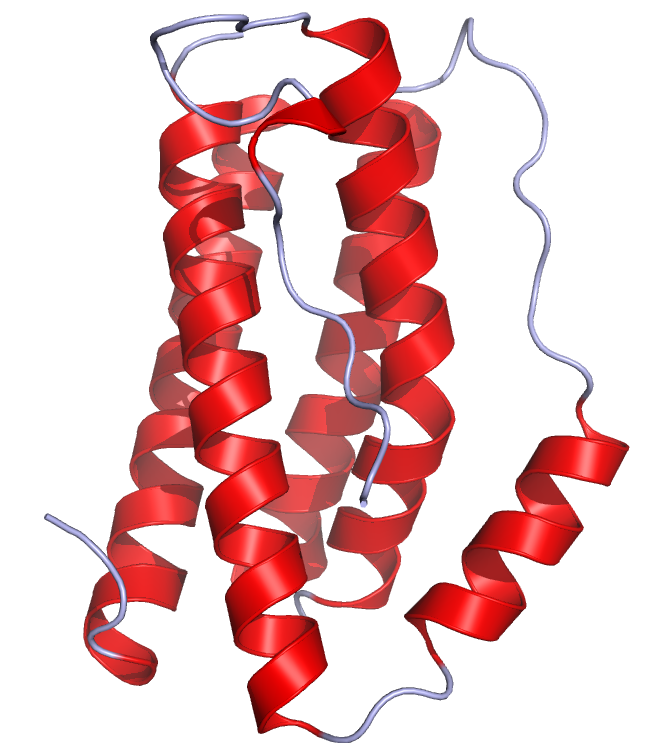 Interleukin-6 (IL-6) and tumor necrosis factor-α (TNF-α) were one of the first few cytokines to be discovered. The normative data for levels of cytokines IL-6 and TNF-α in particular and all other cytokines in general have not yet been established well. The normal levels for each of the cytokines vary from one race to another. Therefore, all studies need to be done in cases and controls belonging to the same race or same populations. The kits for cytokine assays are expensive and running the assays is laborious and time consuming. It is recommended that the serum/plasma samples are run in duplicates and triplicates to avoid error. Immunology and the field of cytokines is an area which has many domains unexplored. As yet, it is not clearly understood by what mechanisms and pathways each of the cytokines alter the levels of other cytokines. Exercise or physical activity is an intervention which can be administered easily and levels of cytokines measured before and after intervention in same individuals taking all the above mentioned factors into consideration. Hence it is imperative that we look into studies on exercise and cytokines to do further research in the field of cytokines. Cytokines are protein molecules which are mediators of our immune system  that are released into the circulation by several cells of the reticulo-endothelial and musculoskeletal systems  A variety of cytokines are pumped into the circulation in response to different stimuli such as antigens, exercise, mental stress, infections, etc . 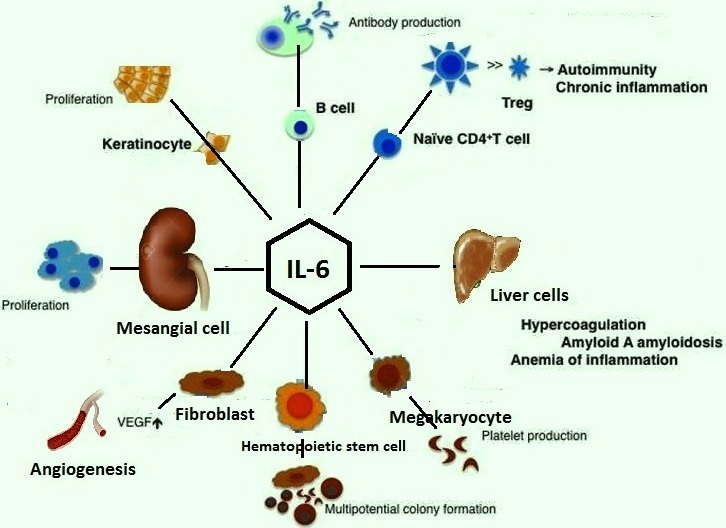 Interleukin-6 (IL-6) and tumor necrosis factor-α (TNF-α) are two cytokines that are known to mediate changes in musculoskeletal and immune systems . They are pro-inflammatory cytokines that mediate process of inflammation and healing . However when released in excess, they can cause unwanted exacerbation of inflammation . This is particularly harmful when there is a pre-existing low-grade inflammation as in several chronic diseases . The crystal structures of the two cytokines as published in the protein data bank (PDB) are depicted in Fig 1 and Fig 2. IL-6 stimulates terminal differentiation of B-lymphocytes and enhances immunoglobulin secretion by the B cells . It is a cofactor for hemopoietic colony growth and thymocytes . It stimulates hepatocytes to produce acute phase proteins like the C-reactive protein (CRP) . It also acts as a growth factor for B cells . 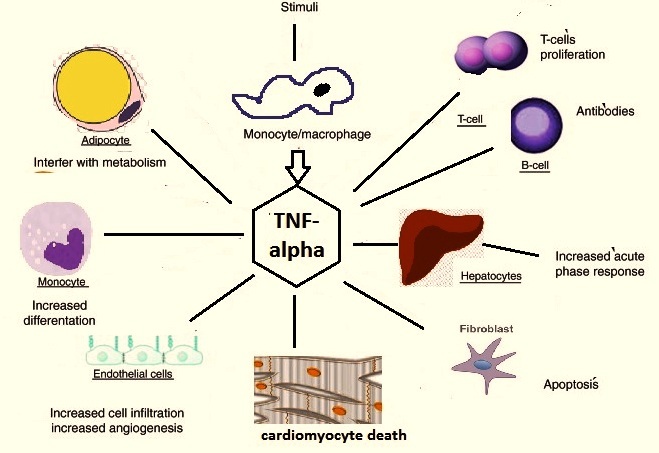 TNF-α is a multifunctional and a pleiotropic stimulator of cellular responses . It is cytolytic to certain tumor cells . It is an inducer of cytokines and cell adhesion molecules and is a regulator of proliferation/differentiation in lymphocytes and hemopoietic progenitors . It is also known to cause insulin resistance . The levels of these cytokines are altered with different types of exercise such as downhill running, cycling, swimming, athletics, etc. depending on the predominant type of the subsets of the T-lymphocytes (such as Th-1, Th-2, Th suppressor, T-regulator cells, etc.) present . It has been postulated by researchers that the balance of cytokines in a particular tissue location or blood influences the differentiation of mature T-cell subsets from their precursors . Few actions of IL-6 and TNF-α overlap with each other (Fig 3 and Fig 4). Ainsworth et al  studied the effect of strenuous exercise on horses and studied their profile of cytokine changes but the results of this study were equivocal. However, Xiang et al  showed that obese Zucker rats subjected to regular moderate exercise had lower IL-6 levels compared to obese sedentary rats. They also showed acetylcholine-induced vasodilatation was much more pronounced in the former group of rats. Keller et al  demonstrated that exercise normalizes over-expression of TNF-α in mice. He postulated that this effect might be mediated by IL-6. Faldt et al  suggested that IL-6 exerts its effect by stimulating energy expenditure and reducing body fat mass. Further, IL-6 deficient mice had reduced endurance and energy expenditure during exercise. Scientists from different countries the world over have researched cytokine changes in humans, both in normal and diseased individuals. Varied modes of exercise have been used in a wide spectrum of studies. Unaccustomed eccentric exercise such as downhill running on a treadmill is shown to increase plasma IL-6 levels drastically . Eccentric strenuous exercise causes IL-6 expression in myofibers preceding the disruption of the same myofibers. Thus an increased level of IL-6 is correlated with muscle damage caused by strenuous exercise . Sustained, strenuous exercise as in military training programs induces immune impairment through decrease in mucosal immunity and also leads to release of excess IL-6 into circulation . It has been pointed out that IL-6, the fatigue generating pro-inflammatory and pro-healing factor may participate in healing of tissue trauma when released in optimum quantities . Therefore, moderate exercises done on a regular basis help in maintenance of optimum levels of IL-6 and hence result in good health [26,27]. Regular moderate exercise has also been shown to be beneficial in chronic diseases with low-grade inflammation . Patients with such diseases have been shown to exhibit high levels of plasma IL-6 and TNF-α compared to normal individuals . The inflammation can be brought down and the diseases controlled by regular exercise and dietary weight loss; after which levels of IL-6 and TNF-α decrease in the plasma. Bouts of unaccustomed exercise in the same patients are known to increase IL-6 and TNF-α levels in plasma and exacerbate the disease process 30]. IL-6 and TNF-α levels is seen to fall after appropriate and optimum exercise regimes in patients of type 2 diabetes mellitus and cardiovascular diseases, thus leading to improvement in health status. 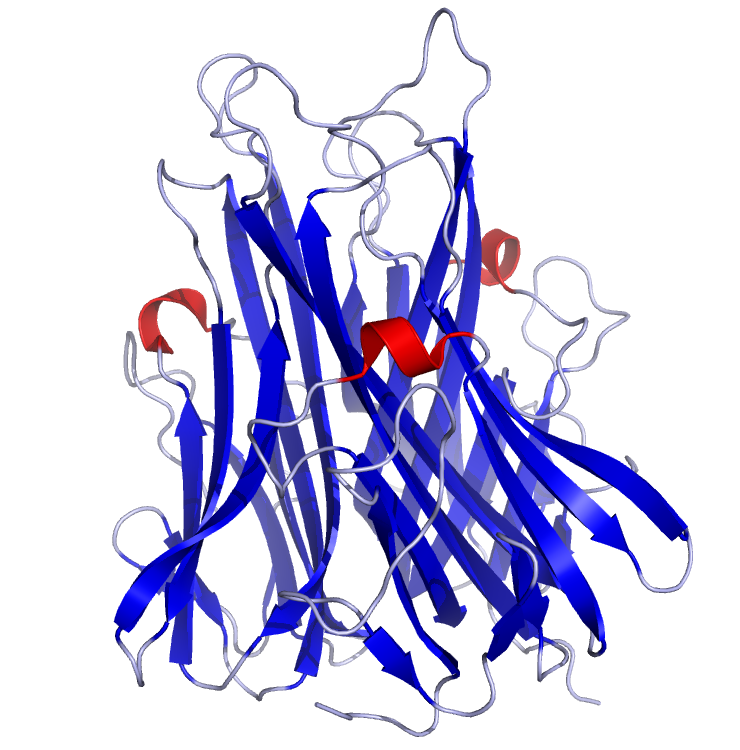 TNF-α is known to cause insulin resistance. Therefore exercise also increases insulin sensitivity by bringing down TNF-α levels. IL-6 has also been called as myokine or exercise factor or work factor by various authors. Maintenance of optimum levels of IL-6 in particular, by regular exercise, can result in protection against chronic diseases associated with low-grade inflammation such as diabetes mellitus and cardiovascular diseases [31,32]. Coronary risk profile is seen to improve in coronary artery disease (CAD) patients after regular exercise regime due to a decrease in C-reactive protein (CRP), IL-6, TNF-α, Interleukin-1 (IL-1) and Interferon gamma (IFN-γ) . Studies done on healthy older males also showed decreased IL-6 levels after regular exercise regime. Thus exercise may play a vital role in controlling inflammatory markers during the aging process . A drastic decrease in IL-6 is associated with decreased exercise capacity . However, acute IL-6 administration impairs athletic performance in healthy trained male runners, so every individual needs to maintain an optimum level of IL-6 concentration according to his or her health profile . An excess of IL-6 and TNF-α are also shown to induce skeletal muscle atrophy [29,37]. IL-6 that is produced by the muscle during exercise is shown to have many biological roles such as induction of lipolysis, suppression of TNF-α production and stimulation of cortisol production . Apart from physical stress, psychological stress also influences the immune system by altering the levels of pro-inflammatory cytokines . Fig 5. 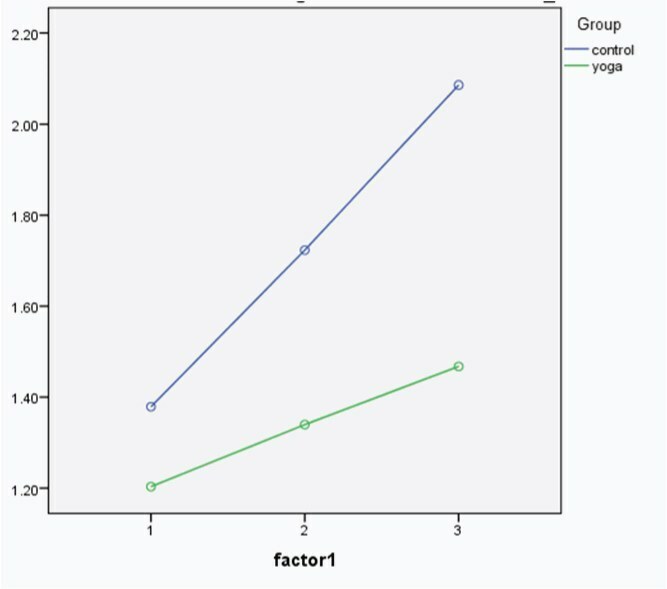 Serum IL-6 levels with different grades of exercise in yoga group and non-yoga group Factor 1 denotes the time points at which the blood samples were collected, i.e. 1 = Baseline (no exercise) 2 = After one bout of moderate exercise and 3 = After one bout of strenuous exercise. Fig 6. 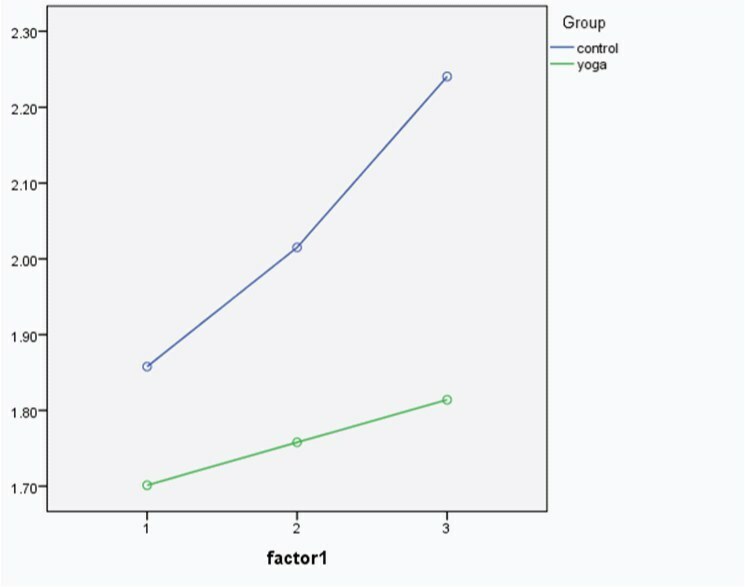 Serum TNF-α levels with different grades of exercise in yoga group and non-yoga (control) group Factor 1 denotes the time points at which the blood samples were collected, i.e. 1 = Baseline (no exercise) 2 = After one bout of moderate exercise and 3 = After one bout of strenuous exercise. We, the authors acknowledge the contribution of Dr. Arun Kumar M., Assistant Professor of Physiology, M. S. Ramaiah Medical College for his illustrative work in producing figures 3 and 4 as per the authors' requirements.